When you run a B2B store, or you consult those who do, you are probably well aware of the fact that simply making an online catalog won't do the trick. 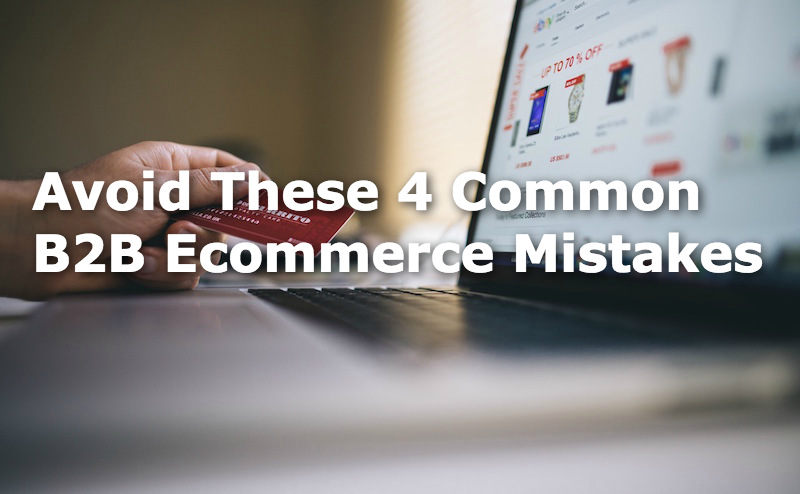 Learn more about the 4 most common mistakes Magento identified over the last years, and how you can avoid them. In their latest whitepaper, Magento points out that for B2B vendors, commerce is shifting from offline to online, rapidly. We need not be surprised by this since all B2B buyers are humans and thus part of the population that buys (B2C) goods online, more and more. Now, when they are at work and are looking to buy their B2B goods, they expect a similar online experience when they make their buying decisions. "So, instead of picking up the phone to call a vendor for pricing or engaging directly with sales, marketing, and customer service reps, B2B buyers increasingly prefer the option to self-serve online—researching, finding, buying, and managing their accounts through a single Web-based platform", Magento states. When a business is looking to shift to selling goods online, the first thing to look at is an Ecommerce platform. It's like the foundation of a house: get this wrong, and you'll get it all wrong. The most common mistake B2B companies make is to choose a deployment model, or e-commerce platform, that gets them going fast. The key, however, is to choose a model that is driven by the needs and goals of the business and the objectives. An easy-going deployment model might get you started but might not get you very far. There are many different marketplace sites that B2B business can use to sell their products. Unfortunately, to stick with just using such websites is a common mistake. Marketplace websites offer very little differentiation and leave the seller with hardly any ways to make it a perfect fit to their business. For B2C that might work, for B2B these sites simply offer not enough. Again, they might get your online presence of the ground but that's it really. Most B2B companies spend huge amounts of money making their business more efficient. And rightly so! However, many companies forget to make a connection between their online platform and all their existing systems. Think about fulfillment, invoicing, stock, delivery packages. A common mistake is to choose a platform that cannot make these systems work together seamlessly, resulting in extra work and extra costs. An eCommerce platform should fit like a glove. But what if you're still growing? Scalability is a keyword for B2B companies that consider going online. There are many different e-commerce systems out there, but few can keep up with aggressive business growth agendas. A common mistake is to forget that you might need different functionalities in the future. In short, Magento sums up how it differs from many other eCommerce platforms out there. They conclude their whitepaper with some good news: avoiding these mistakes is relatively simple! Read our blog "Magento, the B2B platform?" B2C retailers use dynamic and personalized content to meet their customers' needs. Why not do the same? Customize your platform in such a way that you can show customized product recommendations, best-sellers, testimonials and actually make your customer save time and effort to find what he needs. Segment your customer groups, use their current contracts and associations and make shopping as efficient as you can for your clients. Most B2B companies have huge amounts of products, product groups and categories. Yet, you don't want your customer to get lost in your online catalog. Make sure your platform offers powerful search capacities!  Make your customers find what they are looking for when they search for titles, SKU's, article numbers, specs, prices, and availability. Learn from what the B2C retailers do! Buy these jeans and get free socks. Bundle these two products and get free shipping. How will something like that look in your B2B store? One-click buying for this software with free training? Kep in mind that though your business might be B2B, you are still dealing with people that are triggered by such make-it-easy shopping experiences. With a fitting B2B e-commerce platform, you give your customers insight. Insight in their past purchases, billing deadlines, inventory, as well as the possibility to easily reorder. Also, you as the seller will have insight in traffic, buyer behavior and ordering patterns. Winning B2B stores will use this knowledge to continually improve the customer experience and see sales rise! One of the things that make B2B different from B2C is the duration of the customer journey before there is a purchase. Sometimes customers need multiple quotations, sometimes they need more information, that depends. But with a couple of smart tweaks, and where needed extra extensions to complement your platform, you will be able to nurture your visitors and convert them to customers. Cart2Quote is such an extension that can help to make client-contact easier, that enables negotiating about prices and conditions, all from within the existing Magento platform. In short, Cart2Quote helps you to generate leads and convert them into customers. For nearly a decade Magento has been a leading eCommerce platform for both B2C and B2B stores. They continually improve their platform and services, sharing a wealth of knowledge and experience through whitepapers such as their latest: "The Changing Landscape of B2B eCommerce". "Ultimately, one thing is undeniable: buyers today, whether they’re consumers or business procurers, demand online shopping experiences that are simple, elegant and personalized to their needs. If your business isn’t providing that right now, it’s time to get started."